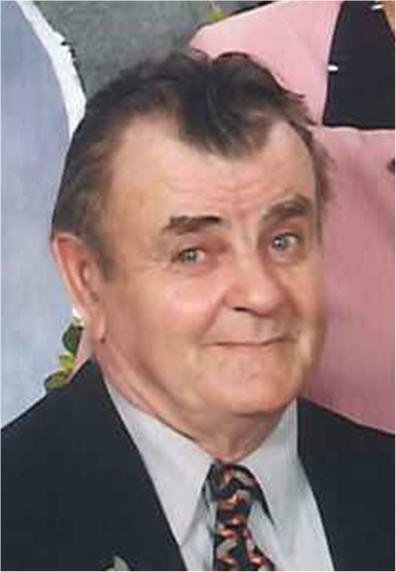 Douglas Verne McFadden, Late of Weyburn, SK passed away April 10, 2019 at the age of 86 years. Douglas was predeceased by his loving partner Helen; parents Harvey & Mary McFadden; brother Don; and step-son Miles Anderson. Douglas will be lovingly remembered by his children:Magi McFadden, Pinehouse, SK; Stella Summers, Saskatoon, SK; Brian (Nadine) Anderson, Cobblehill, BC; JoAnn (Allan) Hauglum, Midale, SK; grandchildren: Courtney McFadden, Lisa McFadden, Denim Isaac, Andrew Isaac, Luke Summers, Tyler Anderson, Tamara Anderson, Cory Torgunrud, Lacy Scrupps; numerous great grandchildren; sisters: Margaret Zaborowski, Weyburn, SK, Linda McFadden, Weyburn, SK, and Doreen Rice, St. Albert, AB; as well as numerous nieces and nephews. A Service of Remembrance will be held Wednesday, April 24, 2019 at 2:00 p.m. from RD Family Funeral Chapel, Weyburn, SK with Pastor Larry Seeman officiating. Honorary Pallbearers will be all in attendance. Interment will be held at Hillcrest Cemetery, Weyburn, SK with luncheon following at RD Family Funeral Chapel, Weyburn, SK. For family and friends so wishing, charitable donations in memory of Douglas may be made to Weyburn Humane Society, 57 ~ 16th Street NE, Weyburn, SK, S4H 2L3. There's still time to send flowers to the Service of Remembrance at the RD Family Funeral Chapel at 2:00 PM on April 24, 2019.